Patients without insurance usually want to know how much a cleaning costs prior to seeing the dentist. They either want to see if they can afford it, or they are shopping and trying to compare apples to apples. A cleaning… and an exam? The trouble with answering the “how much is a cleaning” question is, it’s not a simple question. The fact is, at the bare minimum, we will provide a cleaning as well as an exam by the dentist. Why? If we just clean your teeth without diagnosing any issues you may have, we are not only being unethical, we are just not doing our job. Okay, so for a cleaning and an exam, how much money does it cost? Now we’re getting somewhere! Now that we know what to ask, let’s go ahead and talk numbers! If you added up the cost of a cleaning and an exam at our office, you’ll be around $200. If you add check-up X-rays (the ones we take once a year), you’re up to around $400. I bet you’re thinking that is pretty expensive, and I actually agree with you. 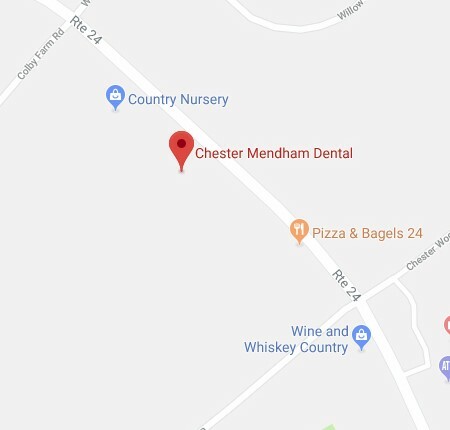 Our fees were set to be at the 50th percentile of all the dentists in the Chester/Mendham area. To be honest, if we charged everyone with or without dental insurance those fees, our patients would probably not be as happy as they are. Our goal at our office, is to not only provide Chester and Mendham with superior dental care, it is to be fair to ALL of our patients. First, we don’t nickel-and-dime you. We don’t charge a bunch of small amounts for every single one of our services. Instead, we charge $150 for a cleaning and exam. You might think, “that sounds fair, but what about when I need X-rays or if I am a new patient and need a new patient exam?” The cost for a cleaning, a new patient exam, and a full set of X-rays is… $150. Wait – how can that be? I believe that if we don’t price gouge you at every other visit, you’re more likely to come back and see us every 6 months! Crazy right? We love doing dentistry and we don’t want people to avoid the dentist – especially those without dental insurance. The cost of a cleaning and exam at our office is $150. The cost of a cleaning, exam, and check-up X-rays is $150. The cost of a cleaning, a new patient exam, and a full set of X-rays is… wait for it… $150.